The women’s basketball team has begun preparations for the 2016-17 season with a younger and larger team than recent years. 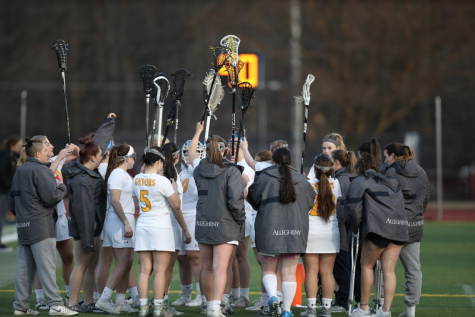 Forward Sadie Longo, ’19, and guard Madison Caufield, ’18, agreed that having a young team has brought a new dynamic and sense of leadership to the team. The captains this year are Caufield and Amanda Beebe, ’18, the two juniors on the team. “Our chemistry is already pretty strong, but [we] definitely want to improve in that aspect, and getting everyone used to … the fast pace at which we play in addition to improving our offense and how comfortable we feel in it,” Caufield said. Costanzo said practices during the preseason have consisted of fundamental work and preparing defensive plays. “Once games start there is more preparation for who our opponent is, so that changes a little bit, but everything else stays the same. Our focus on fundamentals, and getting better each day and watching film stays the same,” Costanzo said. The team’s main goal for the season is to make it back to the playoffs and find success in conference games. In addition to achieving their goals, Caufield and Longo said they are looking forward to simply having more time playing together as a team. “We all love playing the game, so just getting to play with each other, and seeing how we grow together and the success that will come from all the work we put in up to this point and through the rest of the season will be exciting,” Caufield. The women will play their first game on Tuesday, Nov. 15, at Mount Union College at 7:30 p.m.